How to Learn to Scuba Dive in Cozumel? Every holiday represents an opportunity for people to take a break from their hard work, sit back and relax. Most of them are using this period of the year to travel abroad and visit beautiful places like Cozumel Island for example. But, to get the most from your next trip, you should make a plan for learning new things while you are there; this will make your holiday more memorable and more fun. For instance, many people want to learn to scuba diving in cozumel with your family. Why is Cozumel Mexico a great option to learn to scuba dive? As we already said, Cozumel Island is a beautiful place located off Yucatan Peninsula in the Caribbean Sea. This beautiful island is considered by many experienced divers the ultimate scuba diving spot on our planet. To be more precise, you can dive in Cozumel in many different places not just one or two of them. Cozumel has stunning coral reefs, active aquatic life and an exceptional level of visibility which is often limited only by the eyes power of the diver. When the weather conditions are right (and that’s most of the year), you can see through up to two hundred feet of water; this is a paradise on earth. 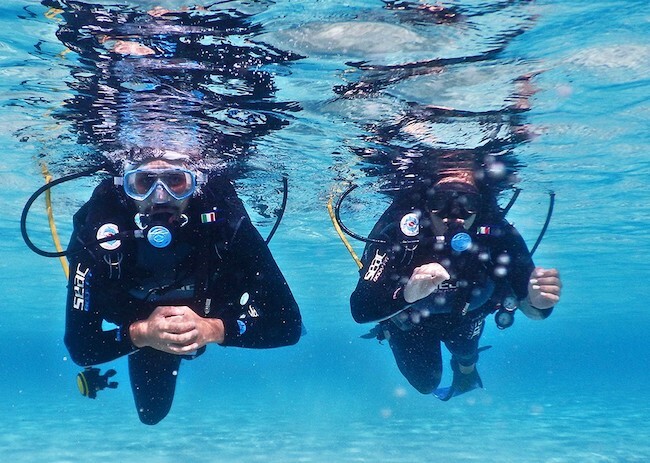 Is it hard to learn to scuba dive in Cozumel Island? At this moment, there are about 20 favorite reef diving spots, and each of them offers a wide array of options that divers can choose. Some of the most popular dive sites in cozumel include Paradise Reef, Palancar Reef, Barracuda Reef, and Colombia Wall. When it comes to Cozumel underwater life, you can expect to see many different life forms including green moray eels, groupers, sea turtles, nurse sharks and a wide range of tropical fish in different colors and combinations of colors. These are the things that you will most likely see on any day around Cozumel. We have already mentioned that the visibility in Cozumel is excellent and another thing that we would like to point out is that this perfect visibility is present all year round. The same goes for the water temperatures that can reach between 75 and 85 degrees. According to expert divers, the season between December and April is the best for scuba diving. What is the best company to learn to scuba dive in Cozumel? 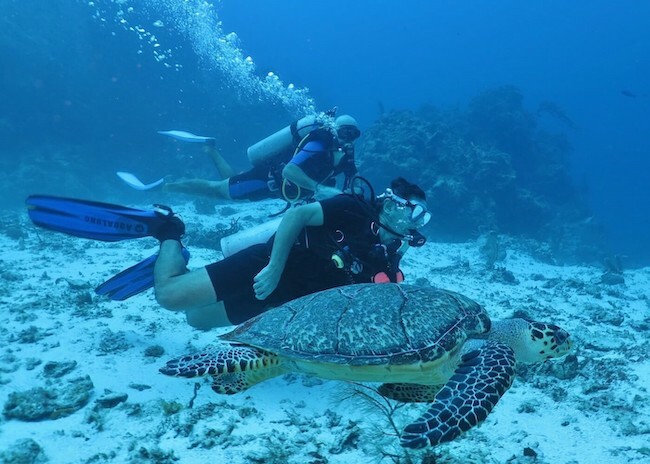 As a popular scuba diving destination, it is quite natural that there are so many companies offering scuba diving classes in Cozumel. However, if you are looking for the best one – stick to My Trip. Namely, My Trip is the best, and official PADI Discover Program in Cozumel for scuba diving beginners in this field. With this program, you will get all the diving equipment you will need for scuba diving. The classes are conducted at Paradise Reef and lead by friendly, qualified divers with years of experience in this field. You must be at least ten years old to take.